Walleye fishing is a popular pastime and a competitive sport, with record catches weighing in at over 20 pounds in some cases. They’re also a very sought after fish for the dinner table and taste delicious, although you don’t need to aim for a monster in this case, something around 16 – 20 inches should be more than enough. However, it’s important to know what you’re up against so below we’ll talk a little more about walleyes, how to understand them in order to outsmart them, where they commonly dwell and the different types of lures you can use to catch them out. Buying a bunch of walleye lures right off the bat can be a waste of both time and money. In order to get the most out of the lures, you will need to make sure that you buy the right ones for the job, depending on your location, weather conditions and water conditions. 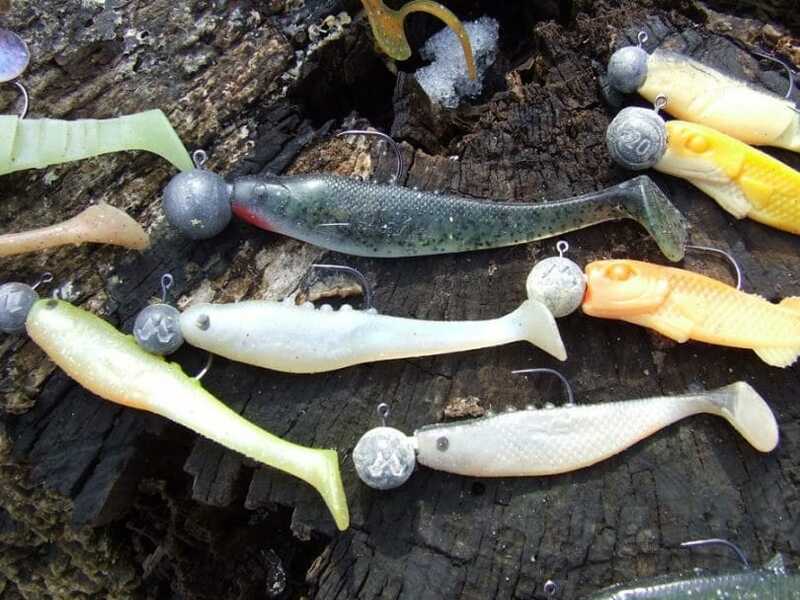 There are different types of walleye lures out on the market, each and every one of them serving a specific purpose, being designed to deal with specific conditions and attract the fish to the hook. Crankbaits are amongst the most common lures used by walleye anglers, and most will have a selection in their kit. They simulate typical baitfish and come in a wide variety of colors, sizes, and weights. Using a crank bait is as simple as casting your line, and cranking it back to you. The depth the lure is designed to work at is of particular importance, and this is defined by the size of the lure, and the “bill” or “lip” at the front, generally, the larger and flatter this is, the deeper it is designed to sink. It is worth carrying a small selection as a beginner, with lures designed to work in varying depths. Spoons are a fairly old fashioned and simply designed lure, generally, as the name suggests, shaped like a spoon. Due to this shape, they tend to wobble in the water, mimicking a wounded baitfish, with the movement also reflecting light to add to the effect. They come in a variety of shapes and colors. Spinners work, as the name suggests, by spinning a blade, or blades, in order to reflect light and create a vibration, thus luring a hungry predatory fish over, especially one with good hearing such as the walleye. Jigs are another popular type of lure, consisting of a lead or tungsten head for weight and a hook. There are many subtypes including soft-bodied, floating, etc and some of the most effective are designed to vibrate. Soft plastic lures have an advantage over other types of lures as they feel more natural to a biting walleye, who will generally not pull away as quickly as his friend who has just bitten into a hard lure. 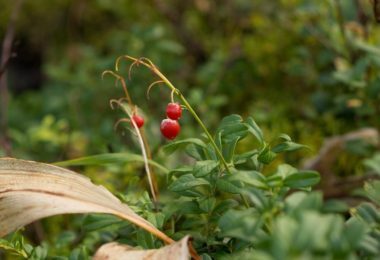 There are many options available, various colors and shapes such as baitfish, insects, grubs and other popular walleye meals, and some are even scented. While each angler has his or her own way of judging what lure to use and when, it must be said that the material or the lure can actually play a relatively strong role in the success chance of landing a fish. That being said, lures currently come in a choice of 3 different materials, metal, solid plastic and soft plastic. Metal lures are great for deep water fishing. They are the heaviest of the lot, and the weight actually plays to the angler’s advantage in deeper water conditions, being able to mimic small fish a lot better. Solid plastic lures are just a bit lighter than the metal ones. They are a lot more popular for medium-high depth fishing, in this case used when the weather starts turning cold and the walleyes start to slowly rise towards the surface. Soft plastic lures are by far the lightest of the 3, however, they are not really among the most popular lures used for this fish. In fact they are rarely used. They are particularly good when the waters are murky, visibility is very low and the water temperature is low enough to allow the walleye to swim a lot closer to the surface. One last thing to note here is the fact that you will also want to know what you might find at the bottom of the lake that you are fishing in. A lot of lures can get snagged and lost in areas with a lot of vegetation or rocky terrain, however some are designed to specifically deal with these situations and conditions. So prepare in advance in order to preserve your lure and get the most out of it. Picking the right size for lures is very important. Many times, trying out different lure sizes will put more fish in the box. Depending on whether you are aiming towards bigger or smaller fish, the size of the bait should increase or decrease. Bigger fish usually demand larger lures. But the most important tip when choosing the size of the bait is knowing the size of the baitfish the walleye is feeding on. Note that, while larger baits will attract larger fish, they will probably spook smaller fish in the same time. Choosing the correct weight of the lure is also very important. The action and the depth the lure will dive are affected by the weight. Weight should be added 50 feet from your lure, in order for it to run correctly and not hinder the action. 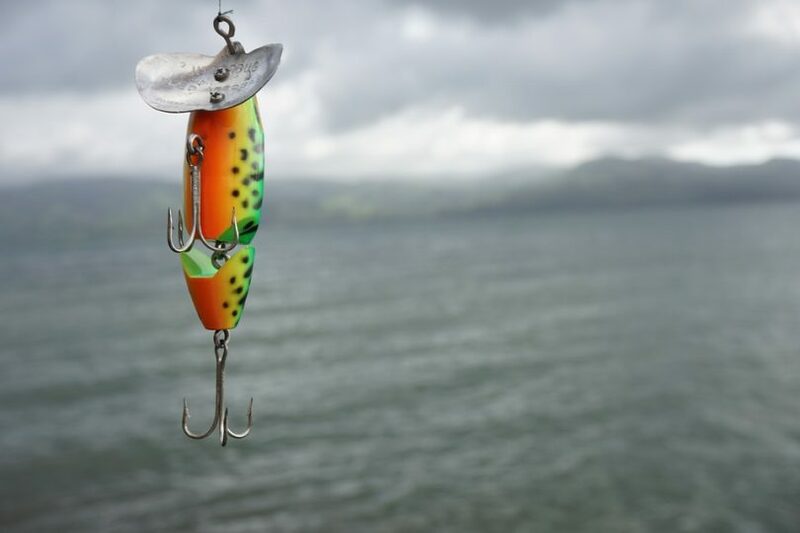 Don’t add weight too close to a lure, because it can hinder the action. Adding too little weight can take you out of the target depth. Lure colors are not the most important feature to consider, but certainly they can influence your fishing success. What colors you see is different than the colors fish will see in the water, and it depends on the depth, light, and clarity of the water. The deeper you go, red, orange and yellow will start disappearing, followed by green, blue, indigo, and violet. Red, although it disappears among the first colors the deeper it sinks, mimics the red gills on the prey fish, so even when it disappears in deep waters, it gives the same shade of grey as red blood. When fishing 5 to 20 feet deep, bright colors are the go-to colors, since they are visible to fish too. Going deeper than 20 feet, purple is the one that still gives color when all others have become shades of grey, so it’s going to be the only color fish will see and probably want to take a bite. 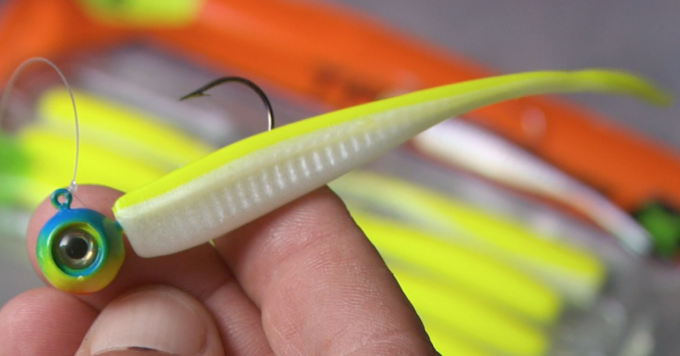 There are a lot of options on the market when it comes to walleye lures. Here are the 7 most popular ones that we recommend. Description: The Cotton Cordell Wally Diver Lures is a lure that over the years has reached legendary status, and has remained at the top of the tackle box for many anglers. It is the lure that anglers will go back to time and time again and has proved its mettle in a wide variety of conditions. 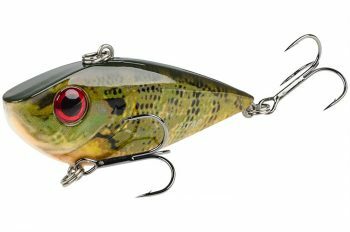 The design, which replicates a baitfish, is very sleek and comes in a huge range of colors designed specifically to attract walleyes, with the more popular colors being greens and blues. The wobble and movement produced by this lure also play their part in driving the walleyes crazy and dragging them in and onto your line. It’s most effective at depths between 6 and 8 ft. Many anglers are happy to use this straight out of the box, and a good many of them have had very productive days fishing. In fact, it’s hard to find anything wrong with this lure, it’s almost foolproof in its ease of use, it looks good and is effective against a wide variety of fish aside from walleye, in a both lakes and rivers. Related: Cordell also makes it possible to purchase the Cotton Cordell Wally Diver Triple Threat fishing lures, a 3-pack of lures that make things slightly easier for the fisherman, adding a bit more versatility to his or her fishing kit. Description: The Lindy Fuzz-E Grub Jigs combine the classic jig style lure with a soft plastic grub style body. The look is fairly realistic, and the shiny, slippery appearance, along with the slower moving, ultra-flexible marabou tail certainly seems to attract aggressive attacks. Several reviewers have said that the walleye really do go for this lure, and they don’t just bite, but chomp it up. Being soft-bodied, the unsuspecting walleye that bites is also more likely to chew for a little longer than with a harder more traditional lure, giving you more time to reel it in. 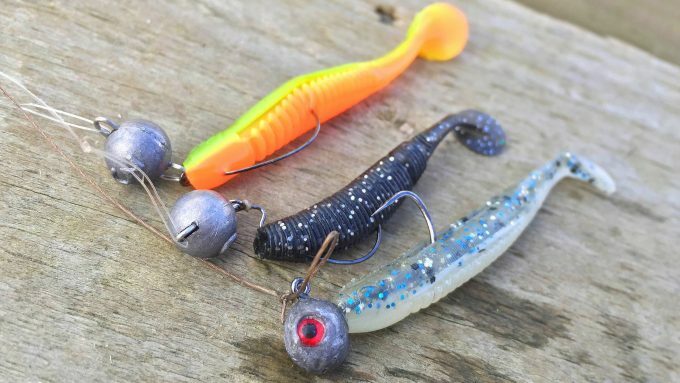 The jig can be used as it is, or live bait can be added, with some anglers claiming that the combination of this jig and a live minnow is irresistible to walleye, and has kept them chomping at it for over 20 years. 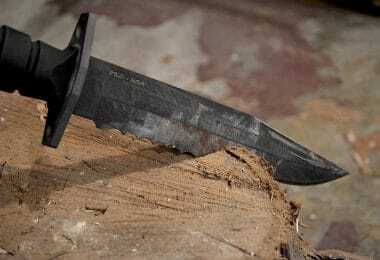 Available in a whole spectrum of colors, and weights from 1/16 oz – ⅜ oz, this is suitable for a variety of scenarios and works just as well in murky waters as it does in clear waters. Related: For finer tuning as well as customization options, Lindy also makes it possible to purchase the Lindy Fuzz-E Grub Bodies Jig so that you can augment and enhance your jigs to catch that wily walleye. Description: The Terminator T1 Spinnerbait is more than just a spinnerbait, in that it combines the use of two different types of blade, with a titanium baitfish replica head and replaceable silicon skirts. This combination of light reflecting materials and color, along with the hum of the blades and the wiggle of the silicone skirt makes for a great lure that many a walleye will be tempted by. The head is strong and will last for many years, and is great for ripping through any vegetation that might slow down or even snag other types of lures. The lure is particularly effective in muddy waters, due to the hum produced by the spinning of the blades. It is this thump and hum that will initially attract a hungry walleye, long before it can see it, and it claims to produce 47% more vibration than other spinnerbaits. The silicone skirt is easy to change if needs be, without having to buy a whole new lure. 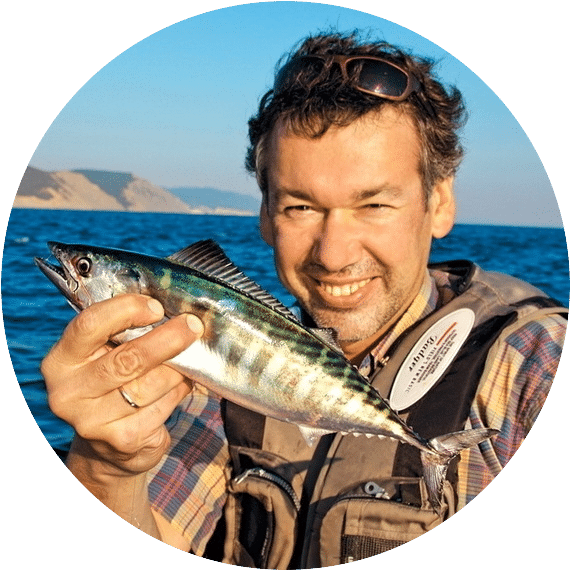 Reviewers have only success stories and good things to say about this lure, with many mentioning that the quality is very high, and that the lure is very durable, and will last up to five times longer than other popular spinnerbaits. It is rare, but not unknown for some parts to snap, but these are easily replaced. Related: Another great product from Terminator, that works really well in conjunction with the lure, is the Terminator Braided Titanium Leader, adding that extra bit of rigidity and stability. Weight: 0.06 – 0.62 oz. 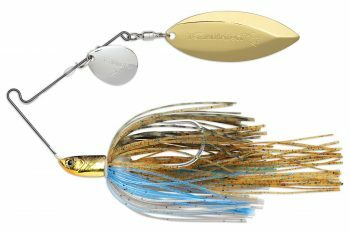 Description: The Lindy Slick Jig is designed to excel in ice fishing conditions. The weight forward body is designed to imitate a tasty bug, and the banana shape helps it to move away from the fishing hole. The line can be tied to various parts of the jig depending on how you want it to work. For example, the knot can be tied at the rear, to encourage the jig to sink down and hit the bottom, disturbing the debris, which is sure to bring over some hungry walleye. It’s an easy jig to handle and set up and has proven its use time and time again, with many anglers having hauled home large loads of walleye. Some people have issues with the durability, in particular with the smaller jigs, and have complained that the hooks are prone to breaking after hooking three or four fish. 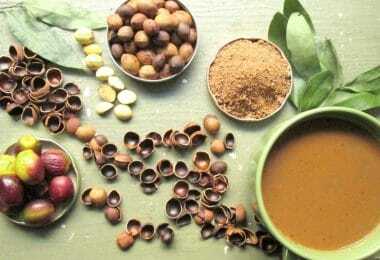 However, the majority of people have happily used this jig time after time. 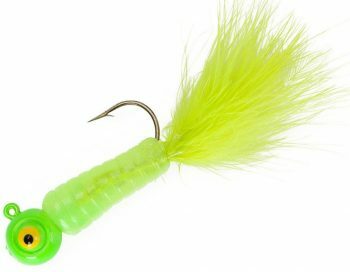 The “green glow” color is particularly good for catching walleye, and the addition of live bait will increase your chances of a bite. While it is best used for ice fishing, it has also had good results in other seasons on the open water. Related: The good people at Lindy know how difficult it can be to catch walleye, which is why they also make it possible to purchase the Lindy No-Snagg Slip Sinker, which will help get the lure down and in range of the fish without any snags or delays. Description: The Strike King Red Eye Shad Tungsten 2 Tap is a well-established crankbait, used by many professional and competitive anglers. 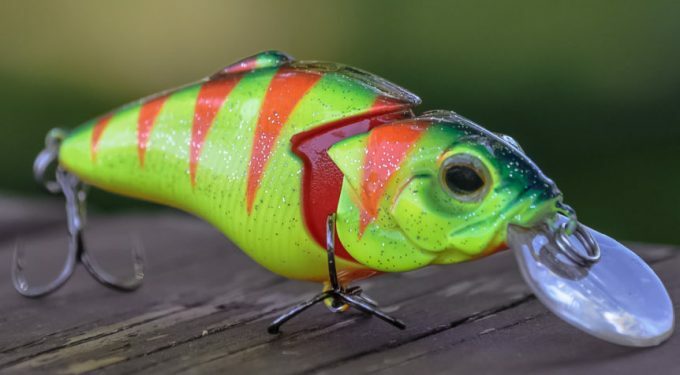 It features a tungsten sound chamber in the head of the lure, which gives a far duller rattle than usual, and as such is more appealing to walleye. The craftsmanship is a marvel, and the way the lure is designed to swim down – or at least give the impression of swimming – ensures that this lure stands out from other lipless crankbaits. It is available in a wide range of paint jobs and looks incredibly lifelike as it swims down to the depths, with light reflection working exceptionally well. In murkier conditions, the sounds produced by the tungsten weights will more than make up for the lack of visibility. It’s a good bait to use year round, and you will generally catch something when using it, whatever the weather. It is well made, and features premium hooks and realistic 3D eyes, and the weight ensures that casting your line is as easy as it can be. A fantastic lure that can be used straight from the box with minimal effort. Related: Another great product from Strike Kings is the Strike King Tour Grade Tungsten Weights, which can help you balance out the lure and add that extra bit of weight to it if needed. Description: The Rapala Husky Jerk Fishing Lure has many happy fans who rave about its success in larger bodies of water. It is a good lure for both casting and trolling and features 3 sets of high-quality triple hooks. 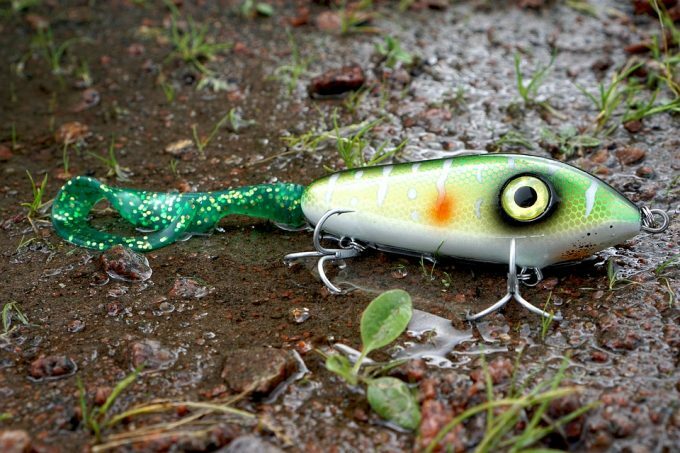 The design replicates a baitfish, as does the movement, which is sure to entice many hungry walleyes to your line. The rattlebox ensures that your lure will be heard when visibility is not so good, and will also appeal to walleyes not in the immediate vicinity. While it has its followers and anglers who swear by it, it seems it’s a hate it or love it lure, and for some anglers it’s very difficult to use. They find it tends to snag on plants, rocks etc. and a few people have commented that they’ve lost the lure before they’d even caught anything on it. It seems to work better at depths between four and eight feet and isn’t fantastic at the bottom of the lake due to its snagging issues. Despite its problems, this lure seems to work well for many anglers who will return to it time and again. Related: If you want to improve your chances, you can also get the Rapala Lock ‘n’ Hold Rod Rack so that you can cast multiple lines at the same time in different areas or directions. Weight: 0.03 – 0.25 oz. Description: The Lindy Watsit Jig is a simple but very effective jig, and works well on its own or with live bait attached. The body is designed to imitate many types of walleye prey, such as crayfish, hellgrammites or baitfish, and the vibration from the six small legs induces a feeding reaction, through water displacement. The thin tail softly sways as well, mimicking prey further. There are 18 different colors and patterns, suitable for catching several types of fish. Happy anglers report that this jig is capable of out fishing live bait in the exact same spot, making it understandable why this is such a popular lure. 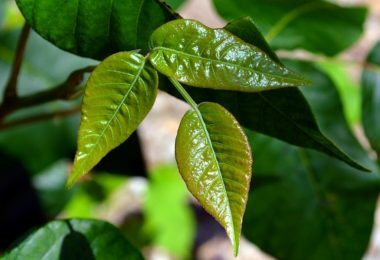 It works well in waters up to 12 feet deep, and is capable of breaking through plants without snagging. Walleye will snap it up aggressively, as it represents everything they are after in a meal, so be prepared to haul them in quick! Related: Lindy understands the needs of the anglers, and for those that don’t have the time to put into finding individual lures, they also offer for sale the Lindy Riggers Rigger Kit so that they have a kit full of common lures to start off with. Now that we’ve looked at the characteristics of walleye fish, and have a better understanding of how they live and hunt, as well as the various lures we can use to catch them, it’s just a case of choosing your lure, or indeed lures. 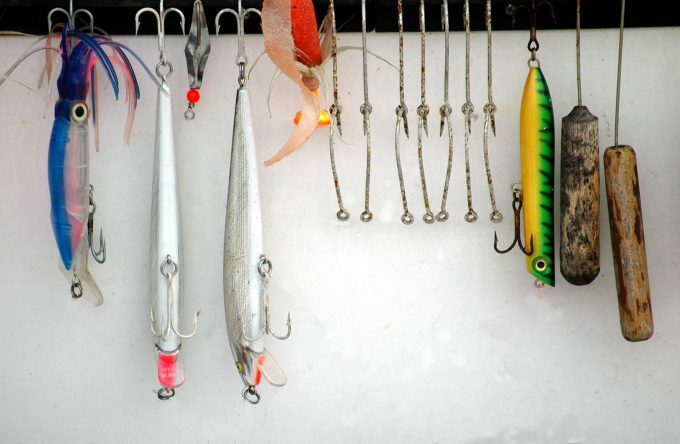 It doesn’t have to be one or the other, rather, a selection of varying lures is often very useful in order to be prepared for whatever conditions you might encounter. Just remember to do your homework with regards to where you wish to fish, and buy the appropriate lures for the location and climate. For instance, if in you plan to fish in a large natural lake on a very hot day, you will want to take with you lures that are capable of sinking to lower depths. If however you fancy a spot of fishing down by the river, and it is a bit murky, consider a lure that is capable of producing noise. For ice fishing, a smaller jig might work best, designed specifically for that purpose. So, whether you’re fishing for sport, relaxation or in a survival situation, you should now be armed and ready to catch walleye whatever the weather. Do you have any tips for catching or cooking walleye? Let us know in the comment section below.